In honour of Lola’s Ukrainian roots, we celebrated Ukrainian Christmas together this weekend. Lola and her mother slaved away in the kitchen and served us a gourmet Ukrainian meal with a twist. It consisted of an assortment of cheese and smoked salmon to start, followed by beet and goat cheese salad, deconstructed cabbage rolls, roasted carrots and stuffed pork tenderloin. Everything was absolutely delicious, but my favourite was by far the deconstructed cabbage rolls! If you’re a regular follower of our blog, you’ll remember that I spent some time in Kiev in 2013 and fell in love with their food. (Check out my previous post on Ukrainian cuisine here). So, while Lola and her mother were responsible for the appetizers and main course, I took over dessert (as I usually tend to do). 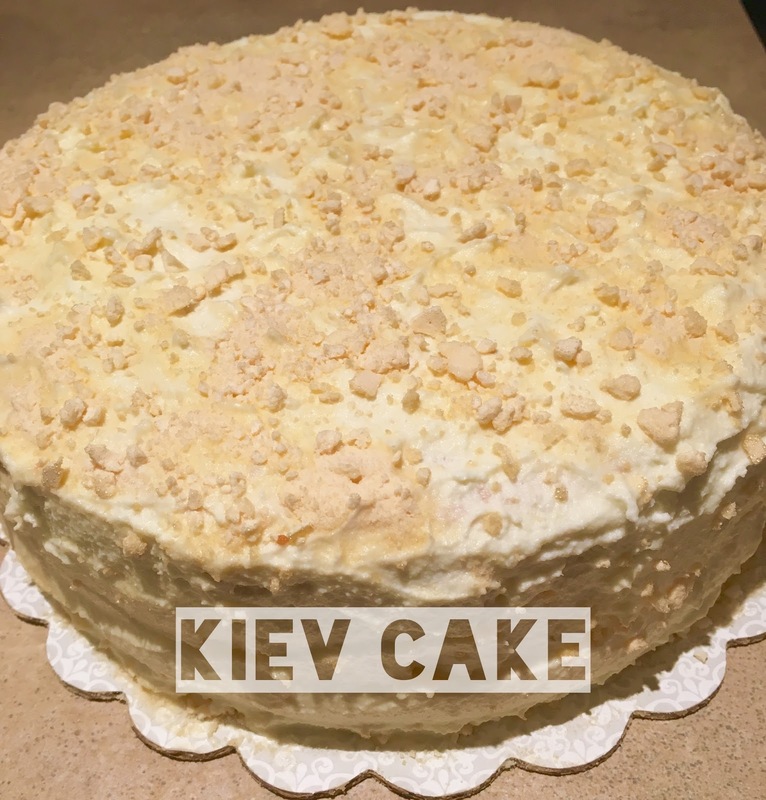 My challenge was to create a traditional Ukrainian treat. Immediately, I thought of my birthday spent in Kiev where I was served the famous Kyivsky tort (also known as Kiev cake). 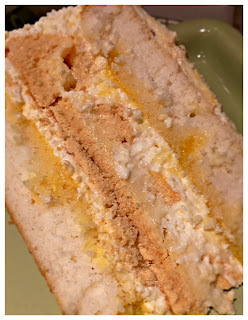 It was so different from any other cake I’ve tried, with various layers of sponge cake, meringue, syrup/jam and cream filling. I knew that this was the perfect opportunity to replicate this tasty cake, which is a top choice among the favourite dishes of Ukraine! This cake, however, is by no means ‘quick and easy’ to create. It takes a good deal of time and effort with various steps; however, nothing is overly complicated. As long as you have patience and closely follow the directions, you can’t go wrong! Or so I initially thought! The cake consists of four separate layers (meringue, sponge cake, cream frosting and syrup) that must be prepared separately and then assembled at the end. 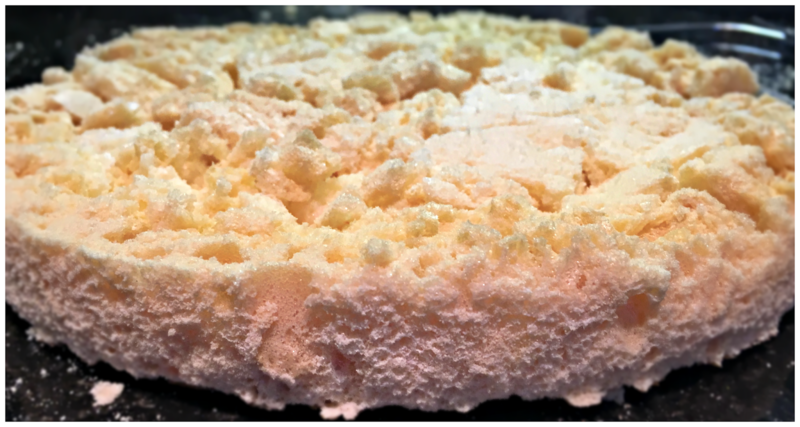 The meringue layer takes over 4 hours to bake, so I recommend preparing this layer a day in advance, and then completing the remaining layers the next day. Don't worry if your meringue isn't perfect, as you can easily level it out. For some reason, I had some trouble with the sponge cake layer (it wasn't combining properly, and as a result it didn't bake right), and so I had to resort to a different sponge cake recipe. Next time, I need to make sure to thoroughly beat the egg yokes and slowly add in the flour a little bit at a time. 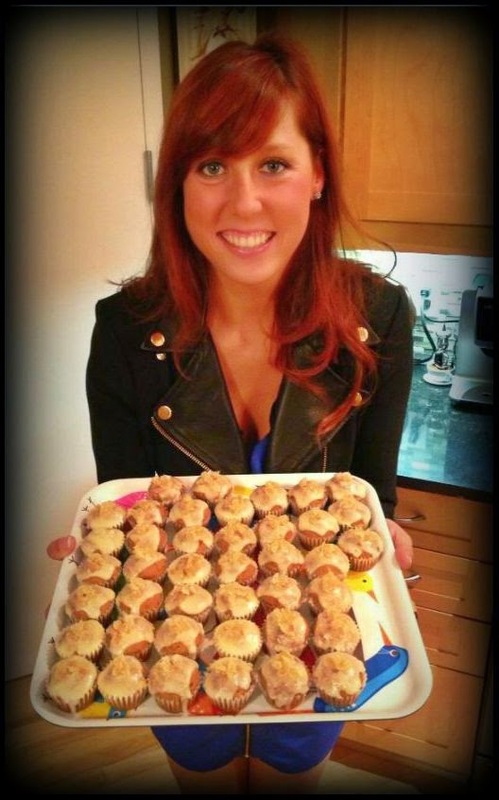 But in the end, my time and effort was worth it, as everyone loved the cake! It was a great end to a fabulous Ukrainian-inspired meal. So here are the ingredients and directions to recreate this Kiev specialty. Place wax paper in baking dish and spray with cooking spray, or butter. I used a 9” round cake dish. Beat the egg whites with the sugar on high speed. Add the sugar slowly, in small amounts. Beat until soft peaks form when you lift the mixer, roughly 5-6 minutes. Bake for 4 hours and 10 minutes. When it is done, peal the wax paper while the meringue is still warm. Let it sit on the counter on a clean kitchen towel to cool. Spray a baking dish with cooking spray. Make sure to use the same baking dish that you used for the meringue. Separate the egg whites from the yokes. On high speed, beat the egg whites with sugar for 3-4 minutes. Set aside. Beat the egg yokes, then add the flour and the vanilla extract. Make sure you beat the egg yokes well and slowly add in the flour. Fold the yokes into the egg whites. Go slowly, so the whites stay fluffy. Transfer the batter into the baking dish and bake for 20-25 minutes. It is done once a toothpick comes out clean. On medium to high speed, beat the condensed milk with the butter. It will thicken and look like frosting. Next, add the cream cheese one spoonful at a time, so that there are no lumps in the cream. 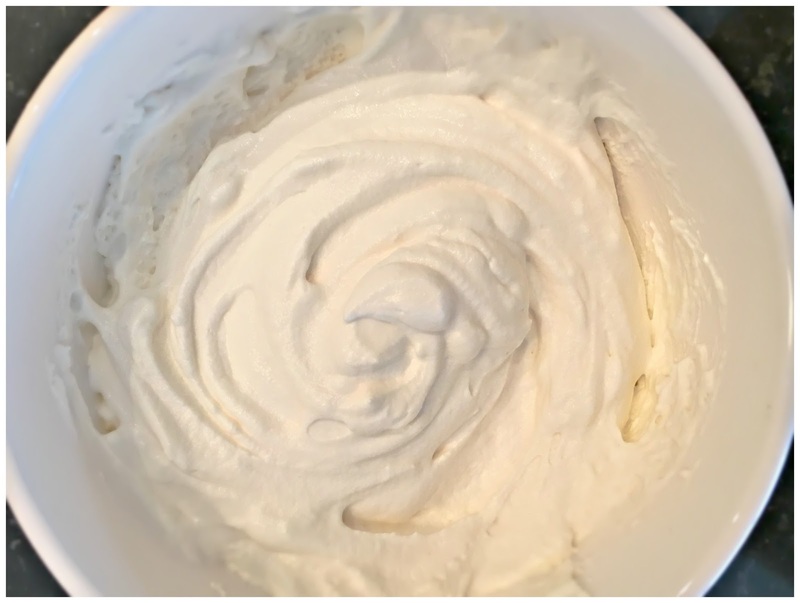 Once the cream cheese has blended in, slow down the mixer and stir in the whipped cream. (I chose to make the whipped cream from scratch. *See below recipe). 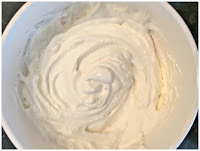 *Whipped cream: Add 1 cup heavy cream, 1 tbsp sugar and 1 tsp of vanilla to a bowl and whisk on high speed until medium peaks form, about 1 minute. Pour all of the ingredients into a blender (apricots with its juice, lemon juice, and sugar) and puree. Cut the sponge cake in half. Pour half of the syrup on the bottom half and spread evenly. Next, spread ¼ of the cream on top of the syrup. Then take the meringue and place it on top of the creamed half of the cake. Cut the edges if necessary, so the meringue fits with the sponge cake. Save the crumbs. Now, spread ¼ of the cream on the meringue. Take the second half of the sponge cake and pour the remaining syrup on it. Gently transfer the syrupy sponge cake on top of the creamed meringue. Use the remaining cream to coat the top and all four sides of the cake. 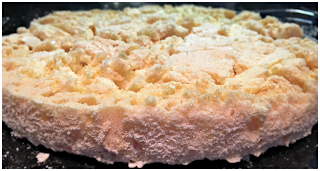 Once frosted, crush the meringue crumbs and sprinkle on top and on the sides of the cake.